I always find that horror movies based off of real horror events make the best horror movies. That is because we can easily relate some elements of the film to actual events. Here are the scariest non-fiction horror movies you must see! I know that Hollywood has to overemphasize some scary events in order to please the horror fans but even the horror movies based loosely on actual events carry a more eerie feeling to the films. All these movies can be streamed on popular streaming services like Netflix, Hulu, Amazon, and Shudder. Below you will find a breakdown on each real event that inspired each horror movie followed by a countdown of all the horror movies listed in a countdown to the best horror film inspired by real events. 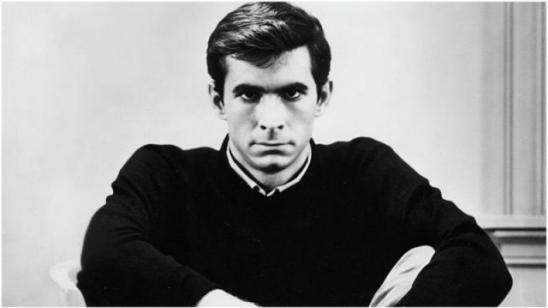 Psycho (1960) - The lead serial killer Norman Bates and his mother split personality was inspired by the life and profile of one of the most famous American serial killers Ed Gein. The film was directed beautifully by the Master of Horror Alfred Hitchcock and actor Anthony Perkins. The Exorcist (1973) - Based on the accounts of a young boy who was possessed by a demon(s) and the priests who ultimately delivered the young boy from the demon(s). The Exorcist (1973) film features a young girl instead of the boy as to further keep the boys’ identity a secret. The Exorcist is one of the scariest demon movies you can watch. The Texas Chain Saw Massacre (1974) - Director Tobe Hooper brought us this horror film about a crazed inbred family with the iconic Leatherface inspired by real-life serial killer Ed Gein who dressed in human skin. The Amityville Horror (1979) - Based on the Lutz house haunting in Amityville, Long Island. The Lutz family claimed a terrible haunting forced them out of their home. Many people believe this haunting to be a hoax created by George Lutz to get out of his mortgage and gain fame. Ed and Lorraine Warren also investigated this home haunting. A Nightmare on Elm Street (1984) - Wes Craven (Master of Horror), recounted reading about a slew of nightmare-inducing deaths throughout the Philippines. People were dying in their sleep and it seemed to be spreading. Wes Craven took that idea and created the iconic horror boogeyman Freddy Krueger who killed teenagers in their sleep. The Serpent and the Rainbow (1988) - Master of Horror Wes Craven directed this tale of a man investigating the powers of Voodoo and bringing people back from the dead as zombies. Many people believe in Haiti fear the power of the Shamans and Voodoo priest while scientists believe that the powder used may put people into a state of unconsciousness where the heartbeat is too low to detect and allows the person to resurrect after the effects have worn off. The longer lasting entranced effect takes longer to wear off. This movie was inspired by many accounts of a "dead man" being seen walking around well after his funeral and looking like he was a walking zombie with no emotions and a blank stare. The Mothman Prophecies (2002) - This film is based on the accounts of many townsfolk in a small town in West Virginia who all account seeing a mysterious and strange looking figure referred to as a Mothman looking creature. They believe the Mothman was either warning them of the impending tragedy on December 15, 1967, and the collapse of the Silver Bridge leading to the death of 46 people or the cause. Were all these people imagining the Mothman or were they hoaxed into believing they saw such a creature? The Girl Next Door (2007) - Based on the book written by Jack Ketchum about a young girl who moves in with her aunt and cousins leading to a very fatal and tragic end for the girl. A sad horror film too emotional for the casual moviegoer but a must see for the evil next door, do you really know your neighbor? The Conjuring (2013) - Inspired loosely by a scary case where Ed and Lorraine Warren helped a family that was plagued by a demonic force in their home. The writers of The Conjuring (2013) and director James Wan took the liberty of intensifying the scary jump scares in the film and the concluding battle with the demon possessing the mother at the end of the film. Child’s Play (1988) - Chucky’s full name is Charles Lee Ray and is not only a scary doll. Chucky is derived from the names of notorious killers Charles Manson (not an actual killer but the mastermind), Lee Harvey Oswald, and James Earl Ray. Writer Don Mancini and director Tom Holland created a movie icon in the form of a menacing scary doll serial killer. Tagline: The picture you MUST see from the beginning... Or not at all!... For no one will be seated after the start of... Alfred Hitchcock's greatest shocker Psycho. Tagline: The movie you've been waiting for...without the wait. Tagline: Houses don't have memories. Tagline: She is the only one who can stop it... if she fails, no one survives. Tagline: Don't bury me...I'm not dead! Tagline: What do you see? Official Synopsis: Find showtimes, watch trailers, browse photos, track your Watchlist and rate your favorite movies and TV shows on your phone or tablet! Tagline: No one believes the truth...or lives to tell it.